Get your Tweets and your account in front of more people who are interested in your business. "A good platform to promote any business." I like that Twitter Ads is a very useful option to promote any business, I love that it has sementacion tool for interests, it is very similar to Facebook Ads, they have the same segmentation system and it works really well. Another thing that I love about this platform is that it can be segmented very well since most of the traffic on this platform comes from mobile traffic, this helps my company a lot since we also offer products for smart phones. I also like that this company is 100% responsible, they have years of experience in the area and it makes me feel safe when announcing my website here. The only thing I do not like about this company is that the web traffic is very expensive, the cost to advertise on this platform is much more expensive than that of Facebook Ads or other advertising platforms. I recommend using this advertising platform, it is very useful and effective, it works excellent. The support works very well, and the performance of the campaigns is great. I recommend using images of quality and that they adapt to the mobile version since they will mostly receive mobile traffic. This company has really been of great help to my business, it has allowed me to grow in followers on Twitter and further diversify my income. In addition, sometimes I have had to use ads in this company because in Facebook Ads there is much more competition. This has favored me a lot. "Excellent tool for growing an audience"
I like how easy Twitter Ads makes it for the user to grow an audience. You can choose specific Twitter accounts and users with similar target audiences to make sure that your ads are reaching the right users. I have found this feature to be very helpful. You can set up campaigns easily with set timeframes and budgets. If I am wanting to promote a specific tweet or group of tweets, I am able to do so with this program. I would have to say that something that I dislike about Twitter Ads is that it is fairly expensive, especially depending on what audience you are trying to reach. I have found that I stick to shorter campaigns because of this, so I could only imagine the cost of a long term campaign. I have found that many times with shorter campaigns, the impressions are always there while the end result can be fairly unpredictable. Sometimes it will be a successful campaign and other times the result is less than ideal. I would highly recommend using Twitter Ads if you are trying to promote something specific or your account in general. With many options as far as reach and campaigns, it is easy and delivers excellent results. I use Twitter Ads when I am wanting to promote something or gain added exposure. If I am trying to grow my audience or reach a specific audience, I find that Twitter Ads is helpful in doing so. 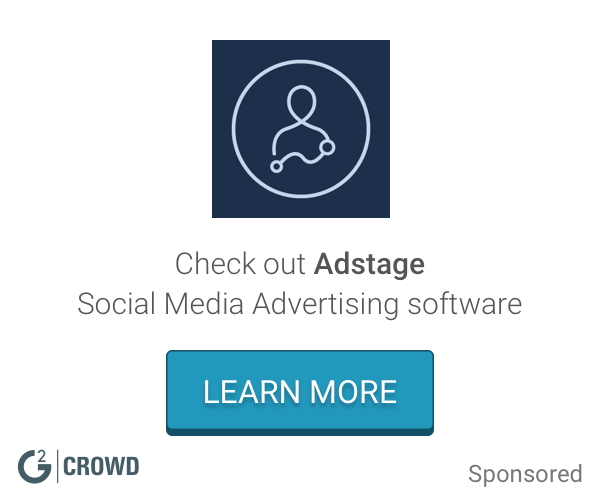 What Social Media Advertising solution do you use? "Interaction is Twitter's winning value." I like the simplicity of the Twitter ad. Interface ,which makes setting up a Twitter ad. Campaign pretty intuitive. However the most important feature on Twitter which really hits me is the level of interaction we get from Twitter users during an advert campaign, as Twitter ad. Enable users communicate with us directly from our ad. Media or tweet. Twitter doesn't offer payment options for all currencies. .Recently the local central bank introduced newer rules restraining online payments in foreign currency for residents.This greatly affected our Twitter ad . Campaigns as we were unable to pay for our campaigns because Twitter wasn't billing us in our local currency. Twitter serves as an effective,albeit expensive means for my company to put our brand out there in the faces of potential customers.This has been a very successful approach ,but expensive too. 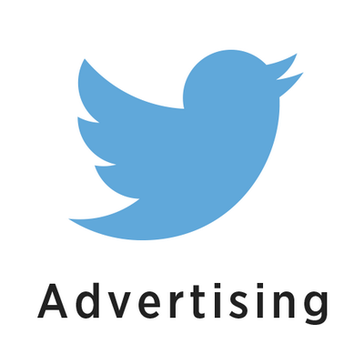 Twitter ads is a strong competitor in the social media advertising sphere. While in my opinion, it ranks 3rd after Facebook (price-wise) and Instagram (Niche-marketing), I am still a big fan of Twitter ads mainly due to the fact that the conversion rate is higher than other social media platforms. To make it simple, a customer/sales lead who comes to your website through Twitter is more likely to buy products (and normally their basket has a higher average value) than those who come from Facebook and Instagram. The ads creation page is easy to use and creating your first ad can be as fast as a few clicks. The analytics side is also quite comprehensive. The main issue with Twitter ads is cost. Clicks on Twitters ads go as higher as 3-4$ sometimes! While on Facebook you can get them as low as 4 cents! And I believe when Instagram allows us to tag products in our ads it will further increase the gap between those 2 platforms and Twitter. Targeting can be quite troublesome when you want to target demographics or geographical locations, mainly due to the limitations resulting from how Twitter sign up process works (when users sign up for new accounts, the Gender and Location fields are optional, so users either skip or fill in false info). I highly recommend Twitter for users looking to eastablish a strong online presence on the platform and the digital sphere. While a little on the expensive side, the payoff on the long run is quite remarkable, especially that Twitter will show your content to all the followers gained (while other platforms such as Facebook and Instagram, use algorithms that might place your daily content lower or won't even show them to your fans)..
One of the main benefits of using Twitter ads is the ability to target your competitors' followers. This enabled us to target our client's competitors whenever we ran ads on the platform and helped us not only gain a new customer but also move them away from our client's competitors. "Twitter is an hub for professionals from all fields." Twitter ads. is the fastest way to create social media ads. amongst all social media mediums. With Twitter we have successfully activated ad. campaigns in under five minutes.I love the interactive nature of Twitter,which allows our users ask us live questions by simply responding to our ad. tweet. Twitter ad . appears to be very choosy when it comes to accepting payment methods for ads. While it doesn''t even accept Paypal,which is a widely used payment platform.There are times we have tried Credit cards as our payment methods and was rejected by the Twitter platform. There is also no responsive support medium when we have run into obstacles.On very few occasions when we have had to contact Twitter via the support form,it took almost three days to get a response and when we did,it was a one line response ; which didn''t even address our complaint. Twitter ad. enable us reach professionals, who are our major business targets.Since Twitter has the highest professional audience of all social media platforms (according to our in-house data),it is just the perfect means for us to reach our target audience. "Effective advertizing medium but expensive." Twitter allows its users ask questions from an advertizer when they click on his/her promoted tweet. This has greatly helped us as salespeople as we are able to communicate with potential users of our product even before they visit our website . I have found out in the last few months ,our being able to communicate with potential customers in these way has led to an higher link-clink to customer conversion rate on our Twitter ad. campaigns. In time past ,we've had problems using electronic cards on Twitter .There have been times where we had to try two,three different cards on a single Twitter ad. campaign before it's accepted. Twitter ad. has allowed us reach potential clients and customers of our service on the Twitter platform. We cannot reach all of these millions of people simply by organic twitter activities. Only via ad. placements can we reach a major percentile of this huge ,active crowd. "Second Best Among Social Media Platforms"
The engagement I usually get is not bad. They click the link, visit the site and sometimes they share it with their friends, which doesn't happen much for me in other platforms. If you would like to edit you target profiles after you start the campaign, for instance, you have to export a CSV file and then make your edits and upload it back. This is just ridiculous! Why make things that difficult? Worth to try. Try to be more specific with your audience and while setting up your ads, make it like the final version because it's very painful to edit it once you save it. It has pretty much the same process with other social ad platforms. Easy to understand. Not as sophisticated as Facebook Ads Manager. Based on my experience, there is totally different and more engaging audience for B2B solutions. Lastly, if you're directing them to your website, make sure that your page is mobile optimized since most of the audience is using the mobile app. B2B Lead generation, mostly. If you target very specific audience, you get better results. This is for sure. There are many junk profiles and sometimes accounts from the countries that you didn't target see/click your ads, but overall it helped us to get a few decent leads. Surprisingly, we got better results on Twitter than LinkedIn for B2B lead generation. Having been at the advertizing desk for two years at my place of work.Twitter ad. allowed us target our most trustworthy customers - professionals .From my experience with Twitter ads. we got more professionals to get involved and use our banking services on Twitter than we were able to,with any other social media advertizement medium. Coupled with the fact Twitter ad. allows twitter users(potential customers) ask us questions by commenting on our ad. placement ; just makes this advert medium the real deal. Twitter ad. can really be very expensive .At my workplace ,we budgeted averagely $1 per one user acquisition on Twitter ; which was on the high-side in comparism with our other ad. options. Twitter ad. enable us target professionals,who were our primary customers at my place of work and also interact with them during the course of the campaign. "Effective ad. medium but expensive." Twitter ad. is simple to setup and very easy to understand the processes. Most times we get an ad. campaign setup in less than 3-4 minute which is very fast. It also gives us engagement power as Twitter users can interact with our Twitter handle during ad. campaigns ; allowing us better explain our offering to these users. It is a very expensive medium of advertisement . Currently we average $2 per successful signup on Twitter. I also wish there is a standby support team behind this tool. Takes weeks at times to even get response to basic question forms submitted. "Effective Platform for Niche Services"
For marketers who have a very specific product name or phrase, matching your ad to those using that language is invaluable. Brands who are trying to limit or shift the tone on a topic like their product could very easily promote a landing page that better explains their side, etc. The scope is significantly limited by what is also its best feature - short of broadcasting only to those who repeatedly discuss political names or marketing terms, you're not going to be able to crack into an untapped market very efficiently. I like how simple it is to setup a new campaign and there are clear options for the different types of campaigns to run depending on your goal e.g. grow followers or direct traffic to a landing page. The level of granularity in ads targeting means you can't be as detailed when compared to other social media advertising platforms - but you just need to be aware of this when deciding which platform to use and for what purpose. The content you use in the ad is probably the most important factor in determining if you will get a good response. You can actually test several variations of ads toon a small target audience to identify which one performs best, before using it for the full campaign. It can be hard to make yourself heard on Twitter because of the huge amounts of "noise", so the ads platform helps you cut through that to reach the right type of audience. "Great for retargeting, that's about it"
The User Interface is incredibly easy. Its super simple to get ads up and running. The targeting is horrible. As a B2B marketer, I can't really target the people I'm trying to reach very well. I can target groups and demographics, and other Twitter followers, but to me, that's not much better than casting a wide net. However, it is great for retargeting. Probably good to use Twitter, while they're still around. Its hard to say if your target audience is actually using Twitter, since it seems like an echo chamber and most Twitter accounts aren't even real people (as in, they're run by marketers/ automation/ pr reps). But for remarketing you probably won't have that problem as much. Get people engaged with our content and turned into leads. I like the user interface, which is very easy to navigate around. I also like the fact that users who pick interest in our ads. Can ask us questions via the same ad. Twitter ad. Also promotes organic extension, such as the ability for Twitter users who see our ads to retweet it, thereby making it available to some of their own followers who haven't even come across the ad. Sometimes it is very difficult to get a good product description for our ad. Which falls within Twitters limit of 140 characters. Twitter ad. Allow us create ads. Targeting a select group of Twitter users, which our Research shows are likely to be in need of our service and product offerings. We use twitter ads primarily to schedule upcoming tweets. Its great because its free. I cant get the time zone to change for scheduling (its in Alaska time and we are on the east coast) even though I've changed my preferences. And I also don't like how you have to hunt through to see your scheduled tweets. You may have a more streamlined process by selecting a third-party vendor for scheduling instead of relying on Twitter. "Intuitive tool, easy to use and optimize"
I love how, without any training, I could step in and start using this tool in a professional capacity for a large brand successfully. It's not hard to pick up and if you understand the industry and how paid social media works, optimizing is simple and not time intensive. Not sure why anyone would use a third party tool for this. I wish the Twitter Analytics tools and the Twitter Ads platform were a bit more integrated. I really think they go hand in hand but seem a bit segmented. Test test test. Testing will always be a very important part of what you do. It's easy to spend small amounts of money to find out what works, what doesn't, and what direction to take the campaigns. Brands don't typically allocate large amounts of money to social buys. With tight budgets, it's really important to get the most out of your money. It's easy to stay efficient with the platform. "Love Love Love Twitter Ads!" Once of my favorite and most useful ads platforms to date! Twitter offers amazing support to get you rocking and rolling with their ads platform. Setting up an ad campaign is very easy. The dashboard allows rather specific or general targeting and you can set your pacing options. It's easier than setting up a Facebook ads campaign and just as effective. Target the people you need to reach and drive results. It's painless, I promise. 140 characters aren't the easiest to work with. Create a card or add an image and you get fewer characters. Sometimes the metrics can be a bit misleading, but overall they are nice to have. The bigger the budget, the better. Speak to Twitter directly and get top-notch support. The targeting dashboard is robust, so no who you want to target. Swap out messaging and images every few days to prevent your campaign from hitting a plateau. We are reaching outside of our follower base to attract new customers. We're effectively targeting the people we want and informing them about our products and services at a fraction of the cost compared to traditional advertising. We're creating brand advocates. "Twitter's Ad Platform Is New But Full of Potential"
This platform is new but growing quite fast in popularity because of how different its targeting capabilities are. Being able to target followers of individuals lets you target some very niche industries that other ad platforms don't allow. We've been better able to target individuals for specific events, from specific companies and more using this platform. We see this is a very effective B2B platform - better than Linked In. The reporting platform is also pretty robust, however there could be additional data metrics on impressions, interest groups and followers - but we feel this will come as the platform grows. We found overall, the cost is a little higher than other platforms we've tried, and when taken into consideration is limited targeting capabilities this is its major drawback. On the initial launch the geo-targeting was very limited for Canada (and still is only down to the city level), which makes postal code targeting or targeting people around a business difficult. The user targeting is likely the most powerful feature available, and its a fantastic way to target competitors and businesses. We've found that targeting in this way lets you hit very niche market segments in more effectively than Linked In ads. We've had a major issue targeting B2B with digital advertising platforms, Aside from Google Adwords Search its a tough market to crack. Twitter ads did a great job of bridging this gap for our agency. This platform is also very effective at allow advertisers to target fans and followers of our competition. We're using it more and more! "Platform and Performance is a little below average"
Setting up a campaign is easy - follow the prompts and hit "play". Keyword and handle targeting works well and seems to make the most sense and be the most accurate. Compared to other social platforms (Facebook in particular), Twitter doesn't provide the same level of reporting. With FB, there is so much data to leverage both when setting up a campaign, as well as when reviewing performance. Twitter doesn't have that. The platform is also not as functional for reviewing performance as it could be - I always export the data and analyze in excel or a BI tool. Understand the reality that Twitter will be able to provide you. For our business, it's not a platform that is going to increase conversions, but it does provide us with brand awareness when used correctly. Twitter Ads provides us with relatively inexpensive mobile traffic, both to our Twitter account to increase followers, and to our site. This traffic, once on site, does not convert as well as other mobile placements. "Twitter isn't as effective as it was a few years ago." Twitter ads is a relatively easy platform to use, but it's not something I would recommend over other social media advertising. Twitter is definitely not as effective as it was a few years ago. It seems like everyone was on Twitter 5 years ago, and now, it's moved on to Facebook and Instagram. I wouldn't much rather go to Facebook advertising than Twitter Ads. I've run multiple ads on Twitter and they haven't brought in as many conversions as other platforms. I would recommend testing Twitter Ads simultaneously with Facebook Ads. See what works better for you and go from there! Twitter Ads has definitely increased brand awareness and follower growth, however no conversions have come from it unfortunately. I really like thwt you can announce your service in a tweet through an add. It's a very effective way to get clients and people know your business. Well, sometimes your Ad can be shadowed by bigger companies or sponsored adds but, keep trying! It's a very good way to generate engagdment with your content or offer the products or services you sell, Twitter Ads is very efective. I recommend create a specific content for Twitter Ads because it's a very powerfull tool for your business. People get informed about what my business do. "Good ad platform is you can figure out the targeting"
I like how Twitter gives you the different types of impressions. The lead generation card is very useful. Having the in stream actions are very useful as people can subscribe to your email, or request a demo without leaving Twitter. It is much harder to target than Facebook and LinkedIn. Twitter obviously has less explicit information and they have not done a great job at generating implicit information. Would love it if I could target people who tweet about these topics, but didn't use hashtags. I also with that I could automatically import the leads in Salesforce. Doing it by hand is fine with small numbers, but if we ever hit scale it would get out of hand very quickly. There might be a SF integration that we just haven't found. Try it out. It is not that expensive, and see if the conversions you generate match what you need. For us, we found that the conversions we not a great fit, but that is for our specific business. It is easy enough, and cheap enough that I believe every business should at least try out Twitter ads. See if you get a good ROI, and optimize from there. You already have a company Twitter account, or at least you should, so just bit the bullet and check out Twitter ads. Lead generation. We are looking for people who have an interest in our product on Twitter. "Red social de uso masivo"
El alcance de la red social, porque llega a miles de usuarios, permitiendo una actualización de contenidos con mucha frecuencia. Que en algunas ocasiones los usuarios le dan un uso inadecuado, lo que le resta brillo del que tiene por su plataforma. Publicidad, noticias al día. interacción de contenidos. Son muchos los beneficios. "Great platform, not so great results." We have used Twitter ads a few different times, both to promote Tweets and to gain followers. The campaign creation and management tool is clean, efficient, and powerful. The reporting tools allow you to then focus your budget on the content that is generating the most value, and cut spend on those with limited results. While we spent considerable time targeting the right groups on Twitter, the followers we were gaining were not high quality. Instead, they were loosely affiliated with our target group. I would only recommend promoting content, not targeting for followers. That ad money was essentially wasted. Don't worry if your targeting a small audience with your ads. We expanded our targeting because Twitter recommended doing so. The result was a bunch of non-relevant followers and retweets, and waisted ad money. Better to stay focused and pay a bit more for each online engagement you are looking for. "Connecting with the right (target) audiences at the right time!" • Various campaign objectives allow us to choose a campaign that meets our objectives: follower growth, tweet engagement, etc. • Flexibility to set budget, optimize in real-time and change audience parameters. • Would like more line of site on best practices to optimize campaign performance. • Would like to see a self-service option for promoted trends implemented as part of the Twitter Ads service. "A frustrating experience compared to Facebook"
The interface to set up a campaign is clean and straightforward, and you do have the ability to target followers of specific users to generate a target audience that fits with what you're going after. The biggest gripe with Twitter Ads is that you get very little return on investment. If you want to make sure you're not getting a bunch of bot-like accounts following you during a followers campaign, for example, you will end up spending a lot of money for a limited number of follows. If you want to get the best bang for your buck, however, chances are a lot of bot-like accounts will end up following your account. Compared to Facebook, which gives you the ability to target specific audiences and reach real people with an excellent return on investment, Twitter Ads has a lot of work to do. If you're looking to grow your followers, keep in mind that you will have to spend A LOT to ensure that real people fitting your target audience end up following. There's a limited return unless you disregard things like location, in which case your numbers will go up, but likely because a lot of bots are following you. Twitter does not do a good job of differentiating real and fake people and cleaning up accounts. The biggest benefit has been targeting those who follow accounts that would be considered similar to ours from an interest standpoint. Although not as effective as Facebook's targeting, it's better than nothing, I suppose. "Basic platform that lacks the depth of the Facebook ads platform"
Twitter ads is very user-friendly (in many respects more user-friendly than competitors). It is very easy to select a goal, key targets and to launch a campaign in less than 15 minutes. Twitter ads will always be compared to its main competitors, mainly Facebook. As a result, I believe Twitter Ads lacks the depth of options that Facebook provides, both from the perspective of the formats that are available and the targeting. Twitter ads is great to run basic campaigns on Twitter (engagement, reach, gain followers). Setting up your account at first can be tricky if you don't have an IO in place as Twitter will put a limit on your credit card without telling you, which can limit your daily spend. I strongly encourage calling them to have this lift off when you launch a campaign. I used Twitter ads to solve a variety of problems but the main goals were to either increase reach or engagement for my clients. "Better targeting for career professionals." Twitter ad. Is backed by a mediocre support team.We cannot contact them via email ,except via a contact form. For everytime we have reached them via this form,it takes an upward of a 48 hour period to get a response. And even when they respond,it's always a one liner explanation. Twitter enable us target carer professionals who are the core of our customer base. "Una buena herramienta para promocionar productos o empresas"
Twitter is extremely good when the ad is related to a trending topic. Twitter reach is relatively smaller than other social media platforms. It is very difficult to scale efficiently. Twitter does not have bulk sheet building that is easy to use. Building can be very time consuming. I recommend narrowing down to a few campaigns, to optimize building time and also to leverage better Twitter's potential audience. It helped us reach an specific profile of users we were not able to with other social platforms. cheap advertising is the main use we have for twitter ads, the twitter cards are also a nice way to create more visually pleasing and eye-catching posts with more information. Twitter Ads are quick and easy to get published on the mobile app. Twitter provides the benefit of selecting a target market based on geographic location, and makes it easy to advertise to a geographic target market. Due to the nature of the app, twitter advertisements often get scrolled by and you can not adjust the size and impact of an advertising tweet. It is also difficult to measure the return on twitter advertisements based on region. The business problems you are solving are being able to expand advertising efforts and focus on social media. With increasing technology and social media use, many companies are turning towards a social media marketing platform. Twitter is one of the most recognized forms of social media along with Facebook and Instagram, and you are able to reach a huge audience by advertising on their mobile app. "Easy to setup ad. campaign." Twitter ad, is easy to use and setup ; providing us with instantaneous result. I love the targeting feature ,which allows us to target specific handles and handles which have got similar characteristics to them. Twitter ad. doesn't support multiple currencies. Currently we pay for our ads. in us dollars , despite the dollar not being our official currency. Twitter ad. enable us target professionals who are our primary users. Basically , it is the one social media platform where majority of our customers have been signed-up from. "Twitter Ads easy to use with good reach and filters"
I like the ease of use and functionality when using Twitter ads. I was able to get a campaign up and running within about an hour to target Engineers within California. I do not currently have any complaints or dislikes with Twiter ads, it worked as described. I recommend using Twitter ads to help grow your Twitter account and attract new clients to your website. It has helped me solve CASL compliance in Canada by allowing to reach a broader range of companies within Canada without having to use email blasts. Twitter ads has allowed me to bring in new customers and develop new impressions and followers on our Twitter account. "A good experience but much improvement needed"
Twitter is one of the most popular social media channels so advertising on it is a no-brainer. There are options to narrow down the audience and what I like best are the varying tweet options, including how you want it to look and deciding buttons. Due to how big Twitter is, you'd expect the layout and journey to be a lot better. It is quite tedious to set up a campaign simply because there's not a lot of selection on breaking down the audience. It's like you're blanket marketing and having to narrow down your audience is difficult. Twitter allows us to advertise on one of the biggest social media platforms so the benefit is that we can target a lot of our customers and leads. I like that it allows for a huge population to view. There are many people a part of the social media app, so it allows for things to reach a big population and be seen. I dislike that there is mostly only a younger generation. There are not a lot of parents and grandparent aged people on this social media. "Quick & Effective, but Sometimes Unpredictable"
As an analyst, I love having the option to export all of the data quickly and easily so that I can manipulate it and add in my custom calculations/metrics that are our client's KPIs for success. Additionally, it's great to be able to adjust date ranges as well as drill down into specific campaigns/ad sets so that a campaign or a particular activation can be judged more accurately. Often, it's important that I'm able to break out individual campaigns rather than just aggregating everything up. While the point and click interface is fairly friendly and easy to understand and exports are very quick for raw data, reporting fields over the past year or so have changed frequently. For instance, media views/media engagements and favorites/likes have changed multiple times without any advanced notification from Twitter, making integrating exports directly into my own workbooks a laborious task several times per year. Quite often, we're using spend metrics and engagement metrics to measure the effectiveness and cost efficiency of an advertising campaign across multiple clients for whom we have the social business. Not only are we able to do this on a campaign level across an entire year, but also week to week, or even creative to creative. From this, we can advise the client on where we're succeeding, what types of targeting are most effective, and where we should go next to get the most out of our social investment. "As social advertising platforms go... meh"
I like that it's pretty easy to get a promoted tweet going. That's about it. When you're trying to create a campaign, it's too complicated. I also think Twitter has done a terrible job at delivering ads in a way that is effective for the advertiser--I've spent far too much and got far too little positive results. I actually don't recommend using Twitter ads at all. You're much better off finding an influencer on Twitter and doing a paid campaign with them. Easy and intuitive to use, Twitter is one of the best advertising platforms for a reason. We were able to broaden our reach to the right audiences quickly and easily, and really boost our marketing reach in a very short timeframe. Always wish we could get it done cheaper! Best of the best for a reason. Looking to quickly grow our social media audiences, especially around key Twitter target groups. "It is easy to see results"
I like that I can easily see the analytics on my promoted tweets. I am satisfied with it, there isn't anything I dislike right now. It helps you reach a viwership organically. I find that the ads really do tailor personally to you. For example if it was something I was looking at that day, I would then see it pop up on my twitter feed with promotions and discount. I don't like how it's an extra thing you now have to scroll through. Personally, i follow a lot of accounts so it takes more time out of my day to scroll through my feeds. Business problems, not so much. It hasn't done a whole lot for me. But i do realize that the adds take up more memory and cache space, causing my phone to be slower. The one stop set up for campaigns, targeting and ad copy/tweets. The set up is really easy, but can take some getting used to if you're familiar with Facebook advertising. The biggest challenge is qaing URLs and ad copy in the creatives tab. You have to go into each campaign to QA, which can take some time. Additionally the image sizes are not standard and require additional work to fit into the Twitter specs. We're trying to reach a new audience and have the ability on Twitter. There's no age target, which is big, but through other targeting, we can hopefully reach that audience and promote engagement. It's fairly easy to create new ads. Analytics dashboard works well and makes it easy to show non-users how your campaigns are performing at a glance. Our conversion rate was fairly low for the ads we did push out, it seemed like we would continuously drop in CTR until we changed the ad creative. Not sure if that is an algorithmic thing or not. Change your ad creative regularly. This was one of the few things that we noticed helped in driving our CTR & impressions. Driving site traffic and on-site conversions. We saw very mixed results, partially due to our audience, and partially due to the platform. The targeting capabilities. With Twitter Ads, you have the option to include 'Event' and 'TV' targeting, which enables you to get very granular in who you're reaching with your ads. I wish the Audience Insights enabled you to search for users with particular interest, allowing you to better understand your target consumer. Understand that although Twitter does not have all the capabilities of Facebook quite yet, they are heading in that direction and are much easier to collaborate with as partners. With these ads, we are able to increase the VCR on our videos - something we've struggled with on other platforms. "Best tool to reach the target audience and research"
The most amazing feature of twitter ads is, whether the user is signed up on the social network or not, he can read Tweets. This actually works as a goldmine because this was my message reaches the audience at the right time. With in-depth segmentation and targeting, you can be sure that you’ll be getting the right message across to the right people at just the right time. The most frequently faced problem by my team is 'spammers'. While Twitter has improved its security measures to detect bots and spammers before they become a problem, spam still exists on Twitter. Twitter enables users to flag what they deem to be spammers. Although it's easy to remove, but it's still a nuisance faced on everyday basis. It is indeed the best solution to reach your TG without much effort. Hash tags and trends work well. Twitter helps me a lot with targeting. Users are always checking out what topics are trending on twitter. With Promoted Trends, I often develop trends or hash tags and stir some buzz with engaging conversation, all while encouraging traffic to your company's Twitter page. Twitter is doing well for me and my team. "Paid ads on Social - mixed effects"
"Running ads campaigns for my company and others"
I like the analytics portion of Twitter Ads as you are running a campaign. You can gain a holistic view of what is happening by audience, area, etc. throughout the life of the campaign. Additionally, it is easy to setup a campaign in no time. There are inconsistent ways to add different settings with campaigns across the different types of campaigns. There are also bugs with campaign displays and settings. Additionally, there are quite a few bugs that need fixed. Make sure that you can do what you need within the ads campaign. Also make sure that you understand the targeting criteria and how that works. Overall, it has really solid results and usability. Developing customized campaigns for different groups and customers. Able to define specific targeting dependent on each use case. The ability to target specific demographics, such as younger users. We're a non-profit and used many paid ads during election year. We used Twitter ads only in the ad, and only for a short time in order to meet specific demographics. However, FB ads proved to be more cost-efficient. All in all, the cost is too high for us to continue using at this moment. Voter registration is our goal. The benefit of using Twitter over FB, is that the audience is younger and that is our key demographic. Twitter ads provides a slightly different audience demographic than something like Facebook or Pinterest (tends to be older, more affluent, etc). Extremely counter-intuitive ad platform (really difficult to work in), and audiences tend to be small & low performing. Only use it if you absolutely have a need to reach its users on this platform specifically - if you just need a social tool, go with Facebook or one of the big dogs. Not worth it otherwise - poor performance, poor platform capabilities. We use Twitter to attempt to reach new users in a different environment. Facebook is our bread and butter; however, Twitter allows us to hit users in a unique environment where they're definitely behaving differently than users on Facebook or other platforms. "Easy to use and even easier to loose track of much money"
I can target people who have used a specific word or hashtag in their Twitter update (or people who have interacted with tweets containing those words) in the last seven days. Unless your exact target audience is most active on Twitter, you may get an increase of spam bots following you. Twitter’s targeting features also aren’t as extensive as Facebook’s, making it more difficult to show your ads to the right people. Twitter’s CTR rates are higher than Facebook’s. Twitter Ads are also more expensive than Facebook Ads. Keyword targeting is a remarkably helpful and easier to go after specific people on Twitter. "Twitter Cards integration with newsletters"
I've used this product for setting up Twitter Cards which allow Twitter users to automatically submit their email to a third-party list. It was easy to set-up on Twitter's end although the process was a little harder because of the software that was receiving the data from Twitter. The subdomain to get to Twitter Ads is a bit confusing, especially if you're dealing with multiple accounts - organization vs user accounts, but this is a fairly trivial dislike. Better integration with third-party services would be nice too. If you want to use Twitter Cards, there's nothing else you can use aside from Twitter Ads and the process is not too bad. Getting our Twitter audience to submit a form without having to fill out a form. * We monitor all Twitter Ads reviews to prevent fraudulent reviews and keep review quality high. We do not post reviews by company employees or direct competitors. Validated reviews require the user to submit a screenshot of the product containing their user ID, in order to verify a user is an actual user of the product. Hi there! Are you looking to implement a solution like Twitter Ads?